Hi everyone, I hope you all had a wonderful Valentine’s Day. Blake and I got to celebrate a few days early this year during our trip to NYC. 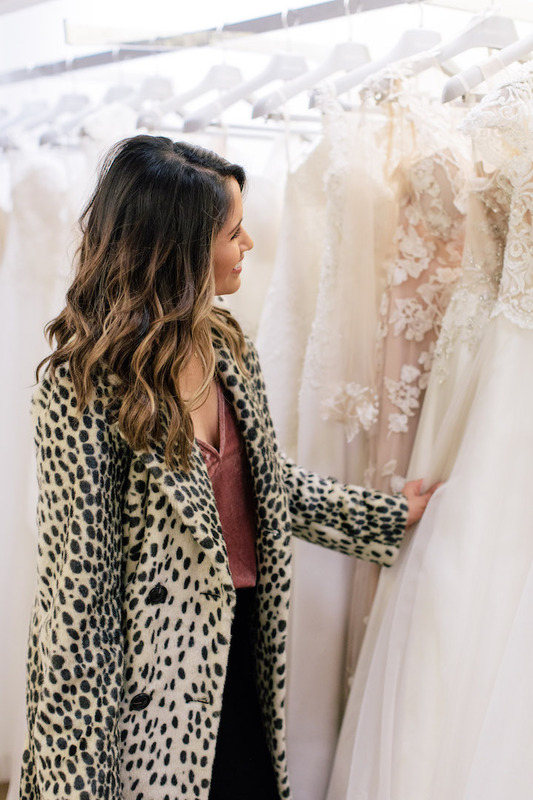 Speaking of my trip to NYC, if you follow along with me on Instagram (@hauteofftherack) then you saw that I got to visit the full service bridal salon at Macy’s headquarters. 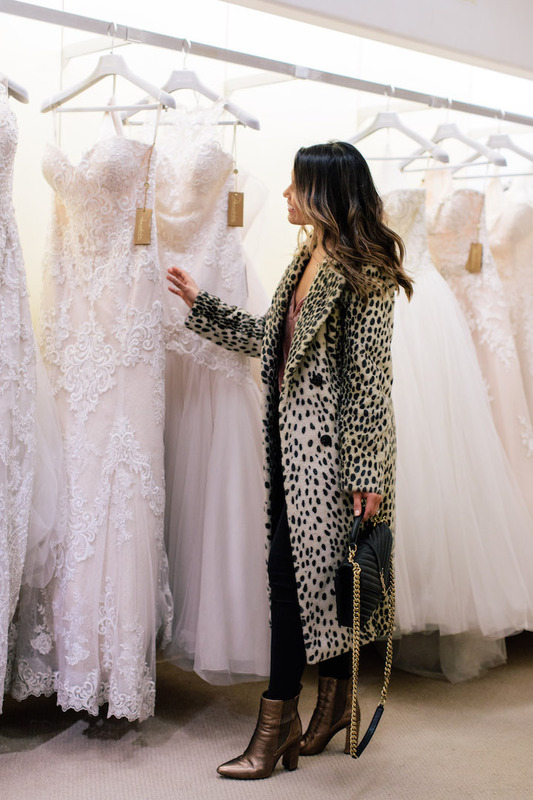 I had a blast trying on gowns and accessories to share with all of you future brides-to-be. 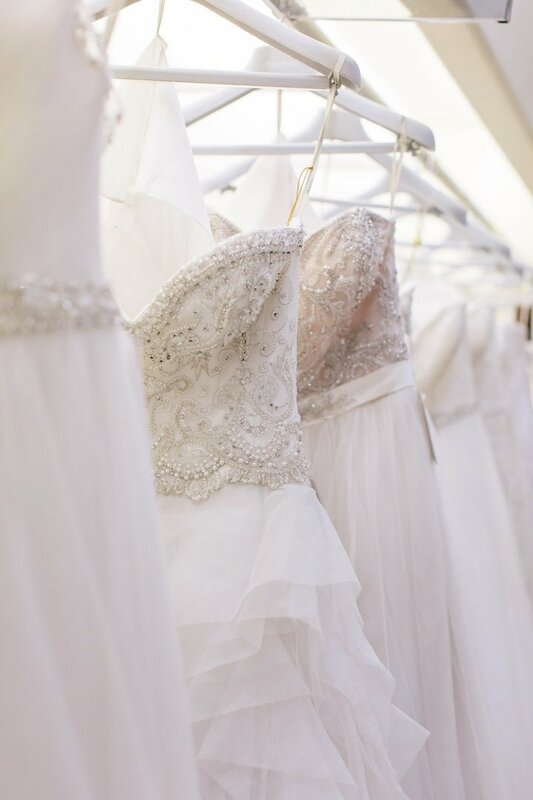 As most of you know, I already have my wedding dress for my wedding next week in New Orleans, but I still love visiting new bridal salons to share my shopping experiences with you because I know that many of you are still looking and I want to provide you with all options. I had a wonderful experience at Macy’s where I had the sweetest sales consultant and tried on a variety of different styles. 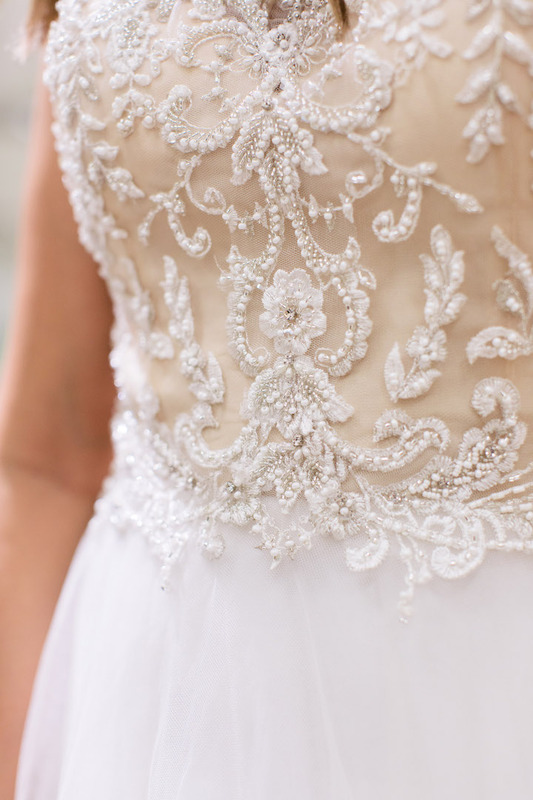 My favorite styles to try on are full skirt ball gowns because they always make me feel like a real bride. Even, if you think you don’t want one, I strongly suggest that you try one on anyway. 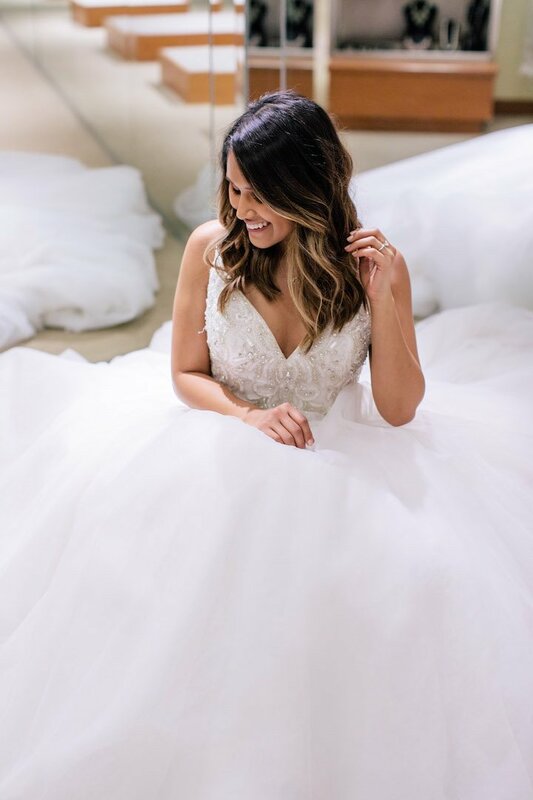 If you’ve already found your dress, but you still need gowns for your bridal party, you’ll be pleased to hear that they also offer gowns for the whole bridal party as well as bridal accessories like veils, hair pieces, jewelry and more. They offer an array of looks and prices to meet any style and budget. 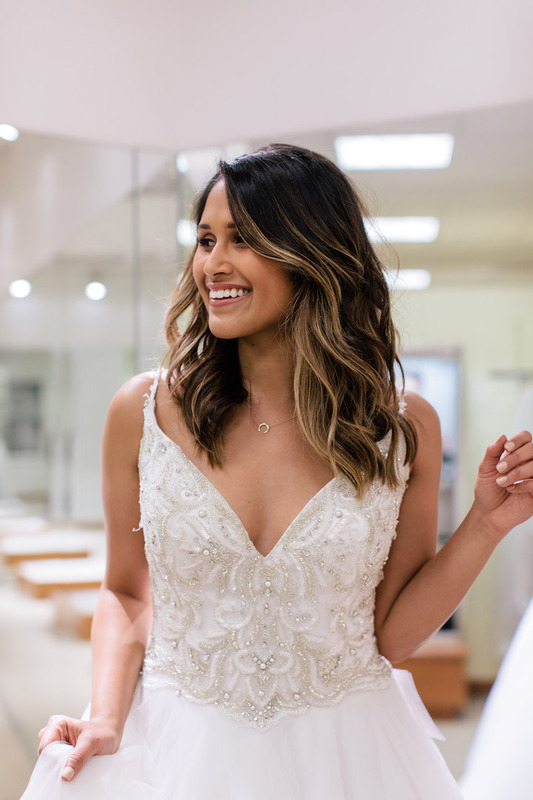 However, I thought the best part of the Macy’s bridal salon is the fact that they also offer in-house alterations by an expert seamstresses so you don’t have to take your gowns all over town to get the proper fit. This is especially important to me because I am only 5 ft tall so alterations are key to achieving the perfect look. If you’re newly engaged, I highly recommend that you check out their new Fall 2018 Collections, which just arrived in stores this week. This post is in partnership with Macy’s, a brand I love. All opinions and selections here are my own. Thank you for supporting the affiliate posts who make this blog possible.